Cafe 21 is a bustling restaurant with two locations in San Diego. 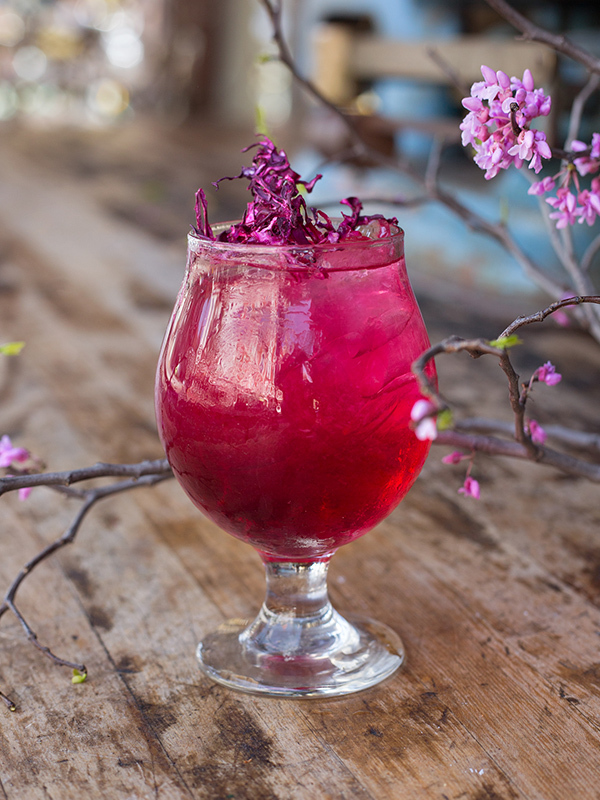 They serve up brunch, dinner, craft cocktails, and a stellar happy hour. A champion of sustainable farming, they only use locally grown organic ingredients for a socially conscious farm-to-table dining experience. How to best engage on Instagram and utilize content in a time-efficient and effective way for the client. Daily Instagram Engagement and Content Management. The goal with Instagram management is not only to increase followers, but increase engagement and discovery from new customers. To effectively do this, there must be daily management of the Instagram account. Not only will this keep existing customers engaged, it will also be favorable to the account with the Instagram algorithm so that the Cafe 21 account remains visible to followers. 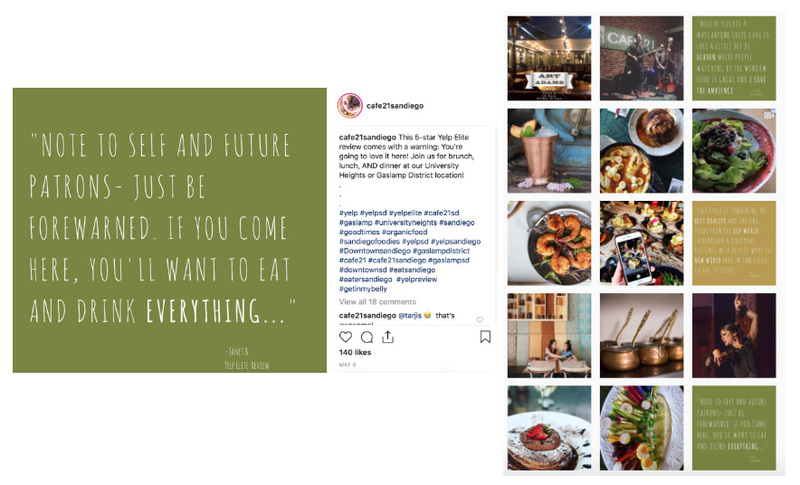 Every day, 2-3 times a day we log in to the Cafe 21 Instagram feed to engage with the audience and any visitors to both Cafe 21 restaurant properties. We make sure to engage with the audience at all Instagram touchpoints by hearting and commenting on content. 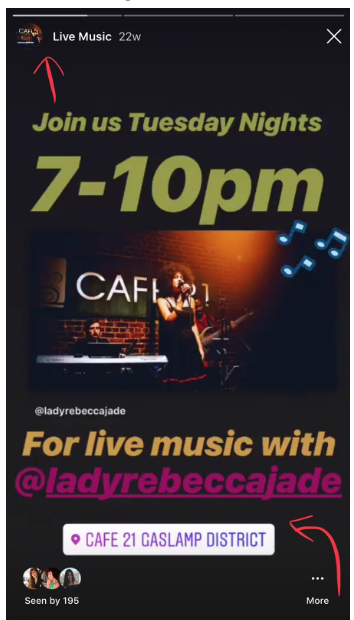 Search “places” and enter in both of the Cafe 21 locations (Cafe 21 Gaslamp and Cafe 21 University Heights) and ‘heart’ all images, and comment on the image when the user’s caption lends itself to engagement. Any high-quality images that we foresee being able to re-gram on our account, we save to a “UGC” collection so that we can easily find it later when planning Instagram aesthetic for the client. This is also a great time to check the geo-stories for these locations. Sometimes a customer that geo-tags the restaurant in the story will post an image on their feed, but not tag the account or location. When we engage with those images- it shows that we’ve gone the extra mile. 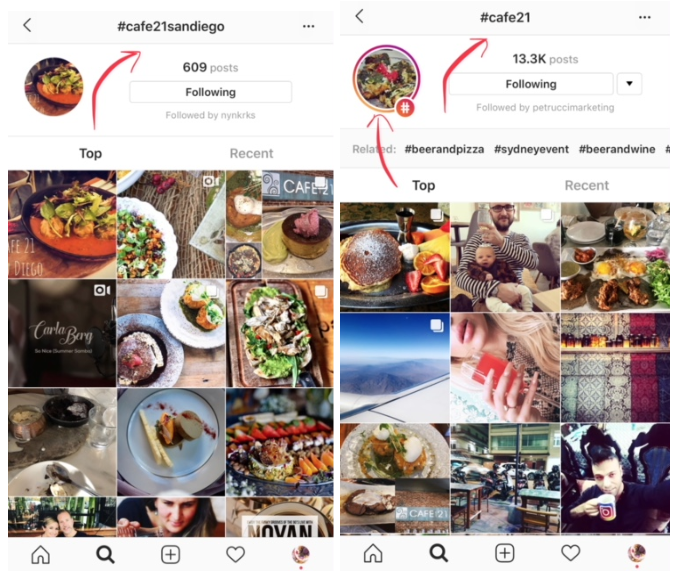 We also search the tags #cafe21sandiego and #cafe21 and do the same thing: heart every image that are taken at our locations and comment (even with a simple combination of emojis). Also, check the inbox for mentions in customer stories. If the content is good quality- we share to the story! It’s also great to add in a few stickers, be sure to geo-tag the location and add in some hashtags. 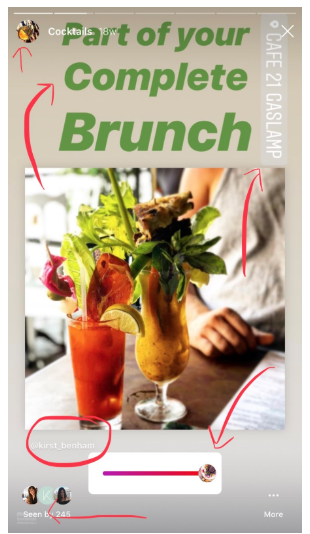 *TIP for hashtags in Insta-Stories: Create the hashtags you want to have in the story, color select a color from the image in the corner and make the text smaller so that it’s hidden and doesn’t distract from the story/image. 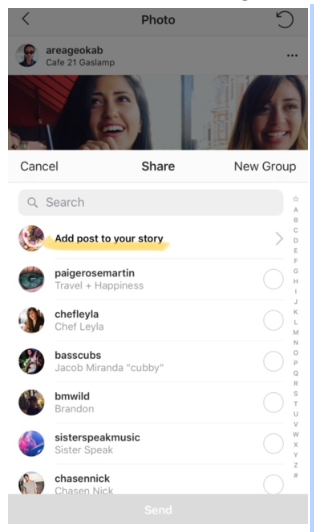 Also Instagram tells us that the more GIFs, polls, stickers etc used in stories- it will benefit the account in the algorithm. So get creative and have fun! If the content shared in the story is something we REALLY like, we’ll save it to one of our Instagram collections. We utilize Yelp and Facebook 5-star reviews in on-brand color blocked text memes. We like to make the caption a call to action to ask our audience a question or get their opinion- and receive great responses in our comments that increase engagement with those posts. These best practices are necessary for staying current and active in an easy and time-efficient way on Instagram. It ensures that we are seeing the latest and greatest from our customers, and are able to make them feel special when they get a “happy birthday” or “thank you for joining us, come back again soon!”, which ties into our Online Reputation Management as well. 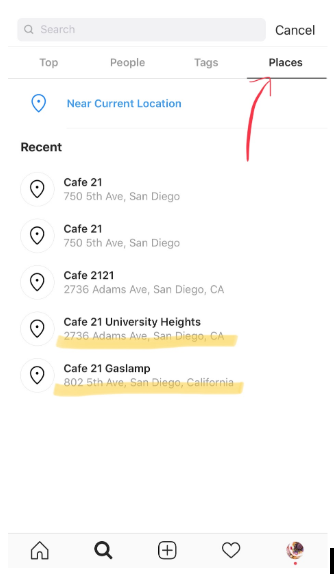 Adding stories for the first time (June 2018) created a boost in total taps on the @cafe21sandiego profile.